There are currently 222 people online. FUD Zilla reports Aquacomputer is the first to unveil a waterblock for AMD's Radeon HD 7900 series. Availability is expected in about three weeks. 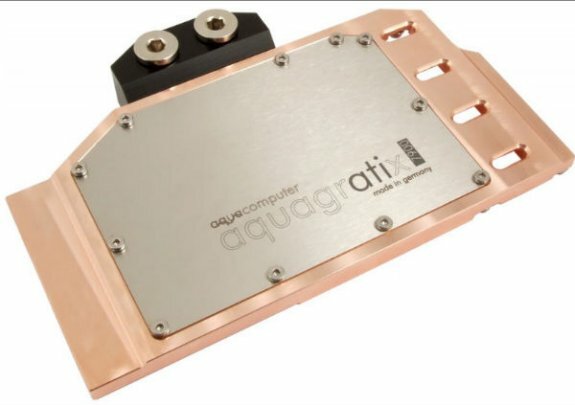 Aquacomputer’s Aquagratix 7900 should fit the HD 7970 and HD 7950, and we suspect it will also work on the HD 7890 once it shows up. Of course, it will only fit reference PCBs. The cooler appears milled from a single slab of copper and it features two standard G1/4” threads. As for quality, well it’s made in Germany. Case closed. Other than that there’s not much to report, other than the €89 price tag.